The Housing Department provides information on Down-payment Assistance Program (DAP), First Time Home-buyers, Grants Assistance Programs and related projects. Action 101.9 – Develop a plan to promote additional affordable senior housing units. Action 101.10 – Develop a plan to provide additional units of affordable homes through mortgage assistance. 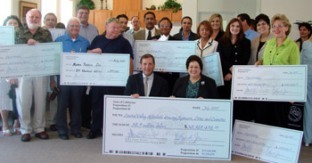 Action 136.1 – Assist the Rescue Mission to expand and enhance their programs. Action 136.2 – Develop a plan to promote and support existing Housing Authority Programs. Action 136.3 – Provide educational materials to churches and social service providers regarding the promotion of transitional housing to ensure the homeless have safe shelter. 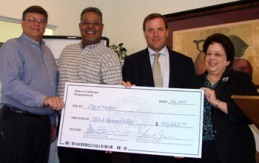 Department of Housing and Community Development HOME Program on July 24, 2007 awarded the City of Madera $600,000.00 in First Time Homebuyer funds. Department of Housing and Community Development HOME Program on January 30, 2008 awarded the City of Madera $800,000.00 in First Time Homebuyer funds. In Madera, California on July 24, California Department of Housing and Community Development Director Lynn L. Jacobs announced more than $38.9 million in Proposition 1C and Proposition 46 Awards to the Central Valley through five HCD programs. "Gov. Schwarzenegger is committed to making the American dream a reality for our neediest residents and other hardworking Californians," said Secretary Bonner. "Today’s awards will help thousands of households and individuals achieve that dream while boosting local economies through construction related activities." The awards were distributed for housing in 44 counties to provide housing opportunities for 13,507 Californians. Proposition 1C is the $2.85 billion housing bond passed by the voters in November 2006, a part of the Governor’s Strategic Growth Plan. Proposition 46 is the previous $2.1 billion housing bond approved by voters in November 2002. Director Lynn Jacobs added that "HCD is also committed to expediting the award of bond funds to make housing available as soon as possible." Helping to offset California's housing slump, Governor Arnold Schwarzenegger today announced awards totaling more than $72 million in federal HOME Investment Partnerships Program funds. This money will help improve the current mortgage situation in California by providing assistance to first-time homebuyers, reducing the number of bank owned homes and increasing the number of rental properties. "This funding will help make the dream of homeownership a reality for thousands of Californians. These awards also help improve our housing market and stimulate our overall economy." said Governor Schwarzenegger. The awards were distributed for housing opportunities in 53 California cities and counties to provide affordable housing for 1,275 California households. HOME assists cities, counties, and nonprofit community housing development organizations to create and retain affordable housing. The program provides funds to eligible cities and counties that do not receive HOME funds directly from the federal Department of Housing and Urban Development (HUD). "The awards announced today will provide California's essential workforce and their households the safe and affordable housing they urgently need to live and work in their communities. My department is committed to expediting these awards to make housing available as soon as possible", said California Department of Housing and Community Development Director Lynn Jacobs. 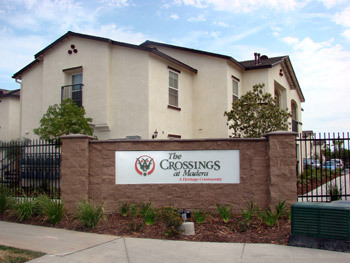 Private developers constructed these apartments using a variety of funds. Annual monitoring is conducted to ensure the units are occupied by income-eligible households.